My brother and sister-in-law went to Iceland. They kindly brought me back a bagful of lettlopi. 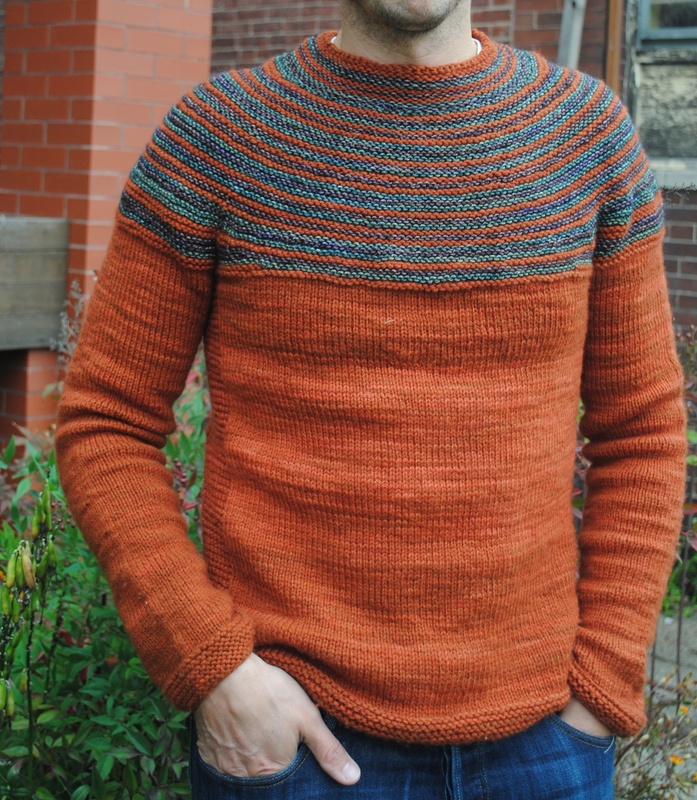 So, I knit my first Icelandic sweater! It is so warm! It’s also itchy, but feels comfy over long sleeves on a cold day. 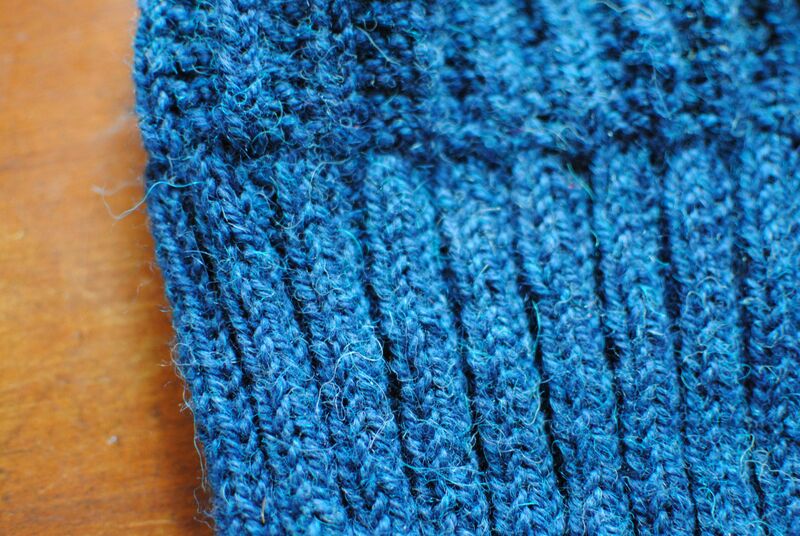 The pattern is Árni from the book Knitting with Icelandic Wool. It is a men’s pattern. I adapted the pattern by adding waste shaping. I started with a 38 size and then decrease to 31 inches at the waist. I increased to about 40 inches at the bust, and then decreased again before starting the yoke. I figured that the men’s pattern was designed for broader shoulders. So, I also removed one (or 2 I can’t remember) pattern repeats from the yoke. I used the sewing machine to attach the zipper. It looks a little wonky at the bottom. Also, the pattern is a few millimeters off at the zipper. and I plan to take it off and reattach at some point. Otherwise, I’m very happy with this make! After living in Portland for a few months, my husband had grown a Portland-appropriate beard. He thought it was about time that he had a vest. 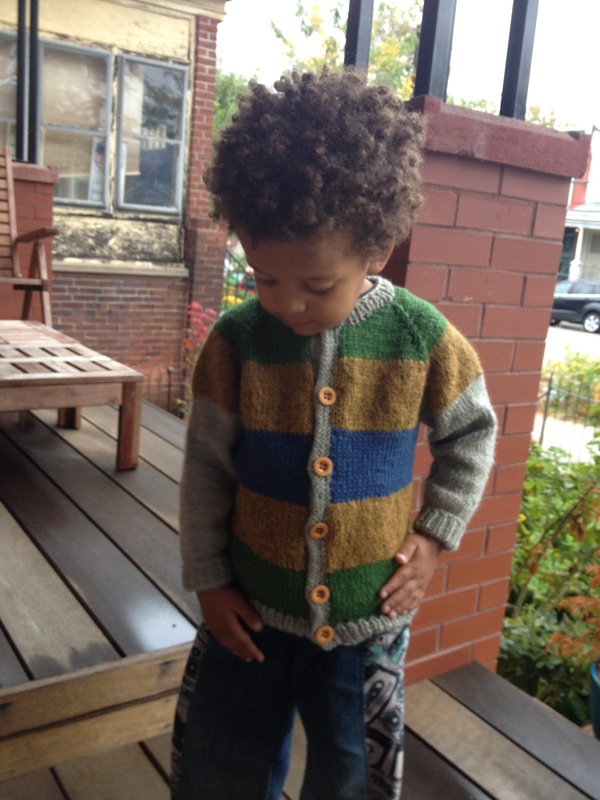 I offered to make him one using the Denali pattern from the Seamwork magazine. He loves how it came out. So do I! If it were up to me, I probably would have chosen a more subtle color combination.But, my husband, who wears gray 90% of the time, wanted something less boring. I traced the pattern (size L) with Swedish tracing paper and did tissue fitting. I added 2 inches in length. I took it in 1/2 inch under the arm on back and front pieces and scaled to zero at the notches. It fits perfectly at the chest. He thought it could be a little snugger at the waist, but I think the little bit of room makes it easier to sit without unsnapping. I used gray wool felt, navy water resistant canvas, and mustard corduroy, all from fabric. com. I quilted the canvas with wool batting. I used non symmetrical pattern that was inspired by a nau jacket. You can’t tell, but I really like how the quilting turned out. I think I have more quilted clothing in my future. 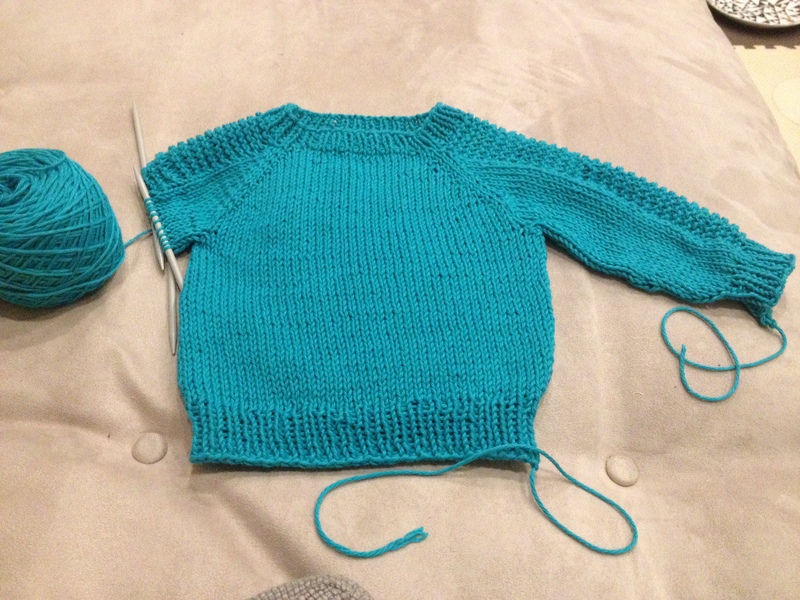 Knitting baby clothes is the best! I love being able to finish a sweater in a week or two. 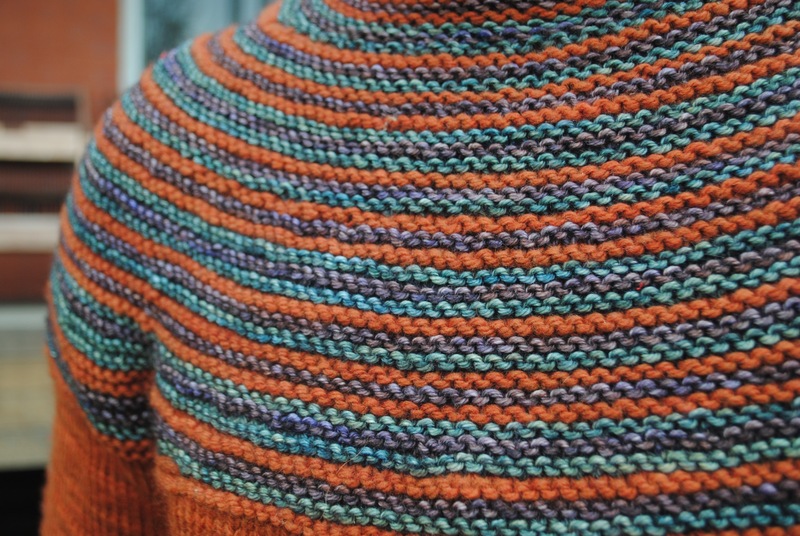 This is the Flax pullover from Tin Can Knits. 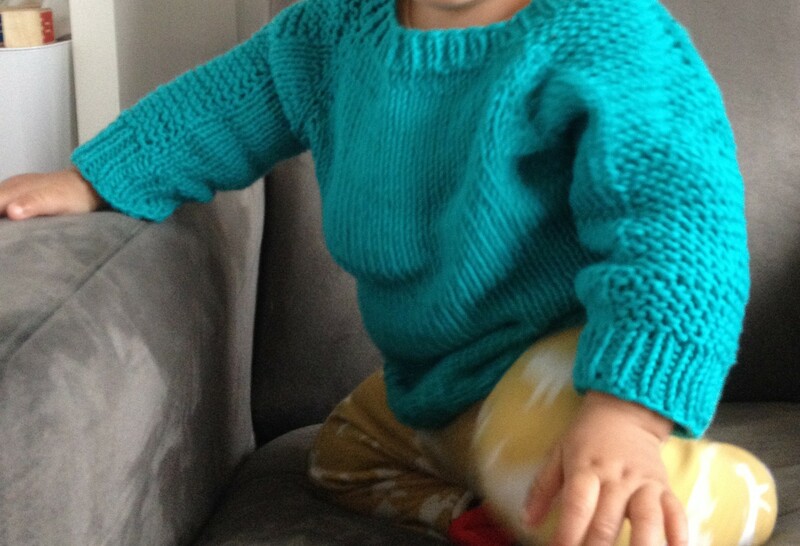 I knit size the 6-12 month size for my 8 month old babe. It was an easy and fun knit. The yarn is Cascade Sierra, a cotton/wool blend, which I think is discontinued. I really like this pattern. It looks great on my littlest boy. This is my sleeveless Painted Portrait blouse. Oh, I love this pattern! I really like the neckline and the the yoke in the front. It has side panels that create a great fit at the bust without darts. It’s great for a lightweight fabric. I used polka-dot cotton lawn for this one. The only thing that’s a bit challenging with this pattern is that it has quite a bit of hand sewing at the end. I’m not that great at hand sewing, so I don’t really enjoy doing it. The whole time I think “hmmm…is this going to hold in the wash?” That’s pretty sad. I’m looking for ways to get better. 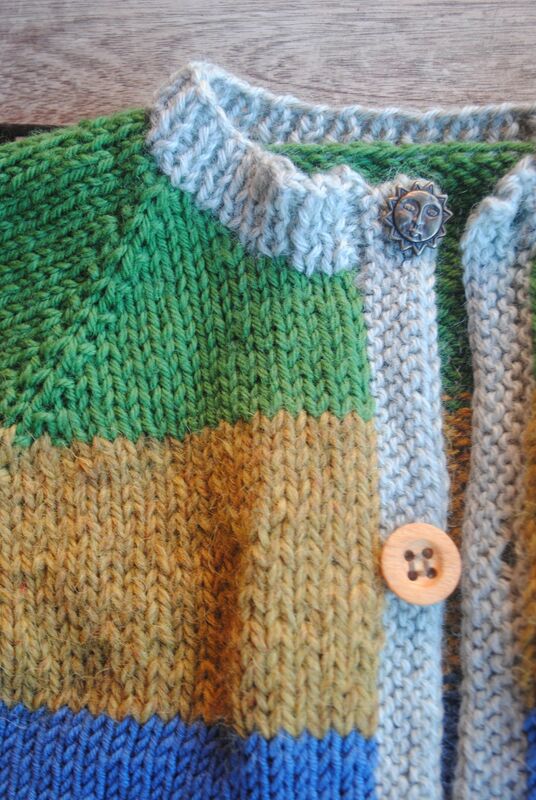 Also, spending time hand sewing means that it takes me even longer to finish a garment. 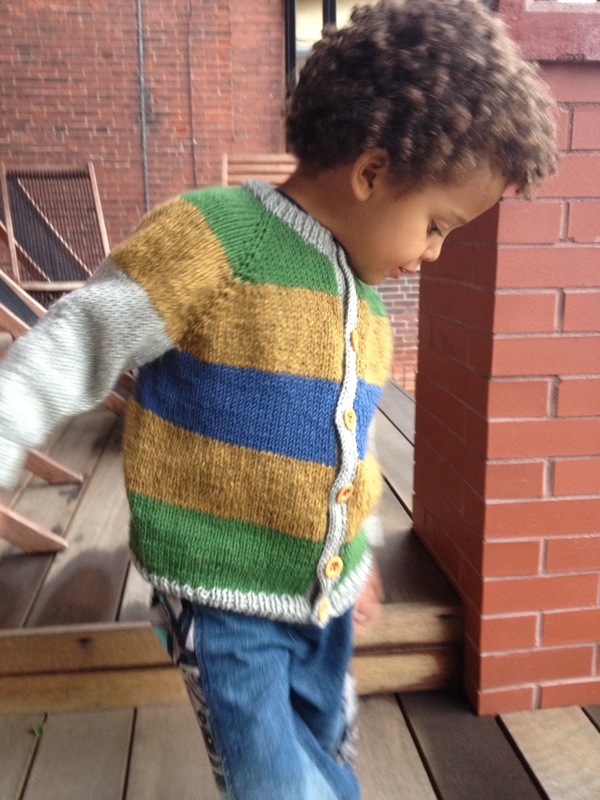 I have so little time to sew right now – with a 4 year old a 4 month old and a dissertation to write. Nonetheless, I’ve made 4 iterations of this pattern. My favorite is my painted portrait dress with an African wax yoke. I’ll post that one soon. I made a sweater for my husband! Wow, his arms are LONG. Luckily I took this project on a two week vacation. Otherwise, I may never have finished it. I used the Cobblestone pattern by Brooklyn Tweed. 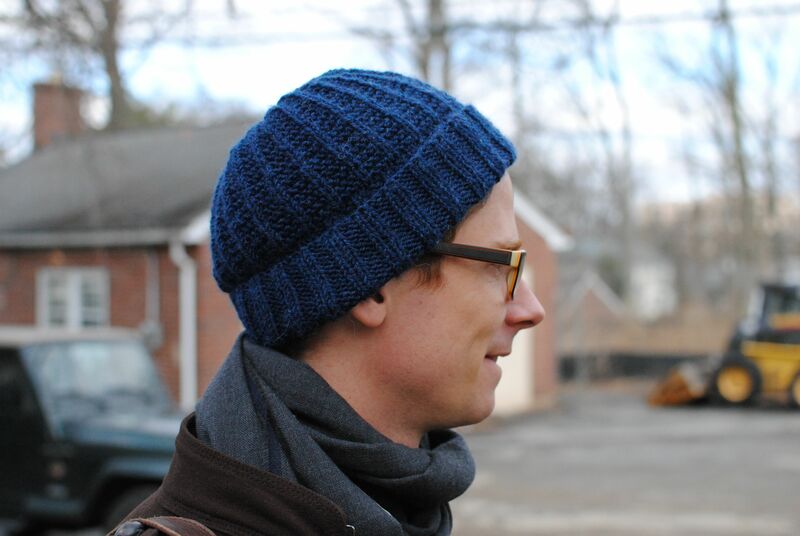 I was worried about this pattern because a lot of the projects that I saw on Ravelry didn’t seem to fit that well. The men wearing them looked like they were drowning in sweater. I made the smallest size and extended the length. I think a little bit of negative ease worked great, but lots of men don’t want negative ease. Thankfully he loves it and wears it several times a week! Someone gave this super soft copper-colored merino up for free at Squam. The other yarn is Woolen Rabbit Frolic. The only problem is that it pills a lot (the Frolic doesn’t pill at all). Next time I’ll use something more rugged. Still, definitely a knitting success!